SeaWorld Orlando has announced a great discount for all who served. The SeaWorld Parks Waves of Honor program which offers complimentary entry to all SeaWorld Parks is strictly for current military members. But this great new offer is for all veterans: Current, Retired, and Separated. 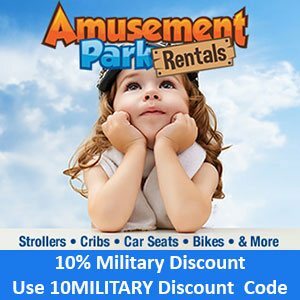 This discount offers discounted tickets which must be purchased online using the Troop ID verification system or at participating Base Ticket Offices. SeaWorld Orlando is celebrating our nation’s heroes with a 50% off discount on a SeaWorld Orlando Fun Card for qualified service members and veterans. The Fun Card expires on Dec 31, 2105. No blackout dates apply. 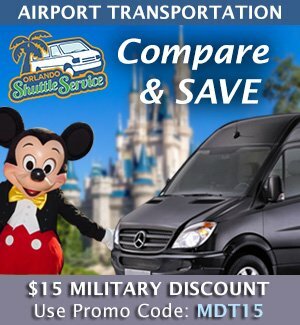 This offer is available to veterans and military members from U.S. only. This offer is available exclusively online or at participating military bases. This offer is not available at the front gate. Up to five (5) SeaWorld Orlando Fun Cards can be purchased per qualified personnel. Qualified service members and veterans must validate through the Troop ID on the website in order to take advantage of this offer. Qualified service members and veterans include active, retired, honorably separated officers and enlisted personnel of the U.S. military. Get your Orlando tickets online you must first log in using the black Troop ID button on the right side. Current Military Members who have already visited a SeaWorld park using the Waves of Honor complimentary program in the last 12 months can still take advantage of this offer. Interested In Hotels At Sea World Orlando? There are many options available for hotels at sea world Orlando. Here is an Orlando map with Sea World area hotels. There are twenty-five hotels listed, some are as far away as the Downtown Disney area. The first six hotels are Sea World Partners, the three with the ** are Official Sea World Hotels. To see ticket/room packages at these Official Sea World Partner Hotels Click Here. Be sure to ask if there are any Military Discounts on these hotels when making your reservations. Also the Shades of Green Resort at Walt Disney World is a 15-30 minute drive away from Sea World depending on traffic. 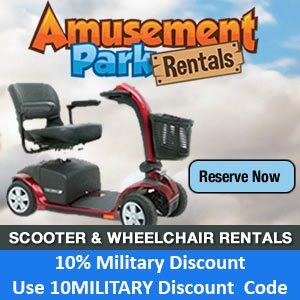 A reasonably priced deluxe resort owned and operated by Army MWR exclusively for military members. Their room rates are based upon rank. For more info on Shades of Green see the Shades of Green Information page on Military Disney Tips one of our partner sites.